UPDATE: T-Mobile’s support page for the Note 8 says that this update includes “October/November Google security updates”, but users that’ve received the update say it only includes the October patches. 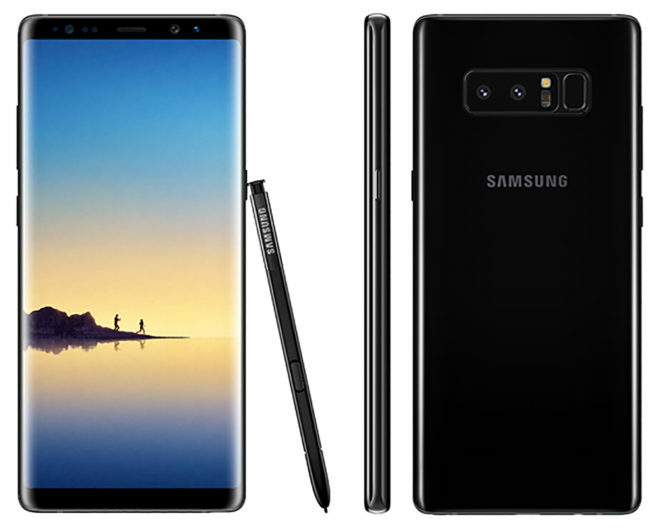 ORIGINAL: Samsung Galaxy Note 8 owners, it’s time to update. T-Mobile has released a software update for the Samsung Galaxy Note 8. Weighing in at 383MB, it includes the October and November Android security patches as well as some bug fixes and software improvements, including an IMS roaming bug fix. This update will bump your Note 8 to version N950USQU2BQJA. If you haven’t gotten it on your device yet, you should see the OTA update in the coming days. You can also check for it by going into Settings > Software update > Download updates manually. My Note 8 also shows October. Thanks, everyone. T-Mobile’s support page lists Oct. and Nov., but it sounds like that’s not actually the case. My S7 Edge just got the November 1st update. My father’s phone got november, sadly Note 8 don’t get it. My S7 got the Nov 1st. Has anyone with the unlocked Note 8 received this update because I haven’t. I have a T-Mobile SIM in it and called Samsung and they stated unlocked version from Samsung soppost to get updates 1st. I have the SM-N950U1. They also told me to contact TMobile but they not helping because I didn’t get the phone from them and the samsung experience in best buy wasn’t aware of the update and said it would take them 3 hrs to download the firmware. Your hardware is not a T-Mobile device so T-Mobile updates do not get pushed to your phone. It doesn’t matter what SIM you have inserted. Samsung will release updates directly to their unlocked phones. Unlocked Samsung phones don’t always get updates first (although it should be easier for them to). You can always “convert” your phone to a carrier branded one and then you will get the updates when that carrier does. If you’re tech savvy, search on XDA how to convert using ODIN, the T-Mobile firmware, and ADB. It will also give you some features you’re missing on your unlocked phone that the T-Mobile one comes with (such as integrated Digits multi-line support and Video calling). Ok thanks, I bought the unlocked 1 because I didn’t want any bloatware and figured I be getting the updates sooner then the carriers but I guess I just have to wait. Also I already did the mod for the video chat thanks for the response. Note 5’s QJ3 Update only gave Oct 1st patches. Guess T-Mobile gave up on Note 5 now. My Note 8 isn’t connecting to any networks (voice or data) since the update. My Note 8 also just got October update…and it broke the clock. None of my alarms work anymore.using the Google Clock app. I’m having Bluetooth connectivity and fingerprint reader issues after this update.